September 6, 2016 – Cary, NC – Banana fiber-based feminine pads, stretchable adhesives for disposable underwear, and facial exfoliating cushions are the top three contenders selected for their novelty, uniqueness, and technical sophistication as finalists for INDA’s prestigious Hygienix Innovation Award™. INDA, the Association of the Nonwoven Fabrics Industry, announced the following products are in the running for the annual award: Kimberly-Clark Corporation’s Kleenex® Exfoliating Cushions; H.B. Fuller’s Conforma™ Adhesive; and Sustainable Health Enterprise’s (SHE) Go!™ Pads. The winner will be selected and announced at Hygienix, The Premier Event for the Absorbent Hygiene and Personal Care Markets, Oct. 24-27, at Loews Portofino Bay Hotel in Orlando, Fla. In its debut last year, Hygienix attracted over 600 leading professionals and excitement is mounting for a repeat strong turnout. Over three-and-a-half days, the newest and latest technologies, innovations, and advancements in this important and growing nonwovens segment will be spotlighted at Hygienix. Each finalist will make a short presentation on Oct. 25 on how their product best meets the award criteria. The winner will be chosen by the Hygienix Conference participants, INDA’s Technical Advisory Board, and the Hygienix Conference Planning Committee, and announced on Oct. 27 at the Conference. 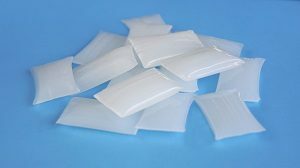 Conforma™ Adhesive – This unique, stretchable adhesive can be used in place of elastomerics to create a stretch feature in disposable absorbent products. It opens up new opportunities for manufacturers to design the next generation of more underwear-like, all-over stretchable incontinence products. The adhesive can be applied in-line and when combined with an extensible nonwoven it creates a conformable fabric that has high extensibility, softness, and easily stretches and retracts, according to H.B. Fuller. 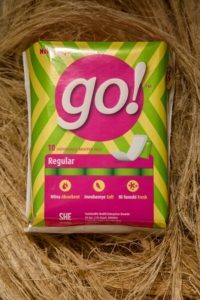 Go!™ Pads – Using patented technology developed by SHE to make an absorbent core from banana tree agricultural waste, Go! ™ Pads maintain superior absorption without using any chemicals and super-absorbent polymers. SHE employs hundreds of local women through local sourcing of banana fibers and pad production while delivering an affordable product to girls, primarily in East Africa, who normally wouldn’t be able to afford pads causing significant costs to their education, health, productivity, and dignity. This breakthrough process will be used to develop a range of essential health products that address overlooked and taboo health issues, according to SHE. Kleenex® Exfoliating Cushions – Combining multiple layers of nonwovens—each specially engineered to deliver a specific benefit—into a novel, versatile facial cleansing tool. The result is a dual-sided cushion with one side that gently exfoliates with a textured nonwoven and a second side with a buffing texture printed on a non-woven to smooth and polish skin. Inside the cushion a water activated cleanser creates a rich lather which is released through purposefully designed apertures on the exfoliating side which also allow the user to control the amount of exfoliation depending on the area of the cushion used. Kleenex® Exfoliating Cushions leverage the versatility of nonwovens to deliver a completely unique and customizable facial cleansing experience, according to the company. For more information or to register for Hygienix 2016, visit: www.inda.org/events/hygienix16.